Organizational governance – practicing accountability and transparency at all levels of your organization; using leadership to create an organizational culture which uses core values of social responsibility when making business decisions. Community involvement and development – getting involved in the betterment of the local communities. Corporate Social Review covers general economic, commercial, financial and political developments. Corporate Social Review is committed to contributing meaningfully to the creation of a sustainable social legacy. Read More..
Corporate Social Review covers general economic, commercial, financial and political developments. Read More..
Corporate Social Review is an indispensable resource to all operating in the development arena. Read More.. 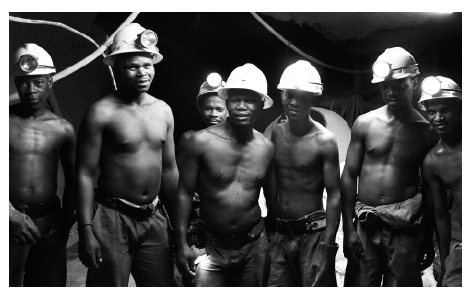 Businesses have an intrinsic relationship with a large segment of the population through employment provision and labour markets, service provision, commodity markets, environment and resource use. The complex problems of today’s poor cannot be solved by the state, civil society and international development organizations alone. The business sector has emerged as a key player and is constantly encouraged to demonstrate responsibility and work in collaboration with these entities to address social issues. public - private partnerships, and other business relationships needed to facilitate local and international economic growth and development encouraging a strong set of social, empowerment and development policies. and 4th Quarter 2013 Electronic Download. and 4th Quarter 2013 download page. 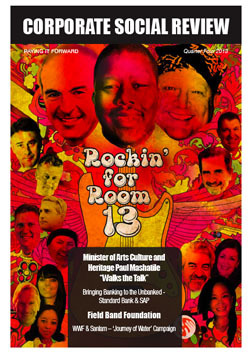 COVER STORY: Rockin’ for Room 13 was a charity event aimed at raising funds for Room 13. High profile business leaders, CEOs, company directors, etc. performed live on stage for one night only in order to raise money to help sustain this noteworthy project. 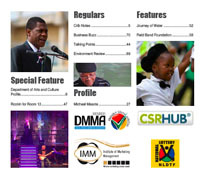 ARTICLE: In conversation with Minister of Arts and Culture Mr Paul Mashatile. 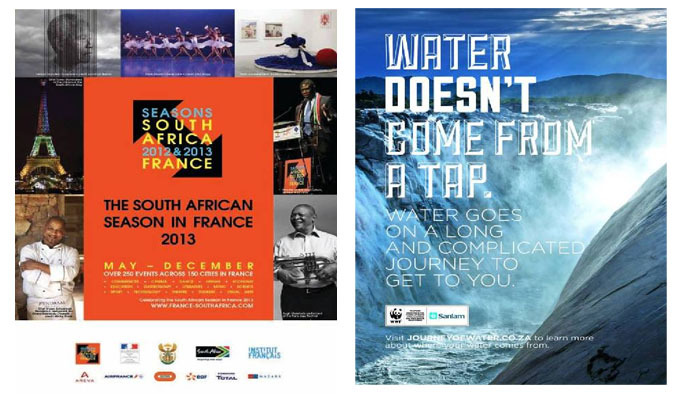 ARTICLE: The South African Season in France Unpacked – Byline: Bongani Tembe Commissioner-General of the South African Season in France. ADVERTORIAL: UNIVERSITY OF JOHANNESBURG COMMUNITY ENGAGEMENT - The spirit of the Office of Community Engagement at the University of Johannesburg blazes on – better and brighter than ever before. 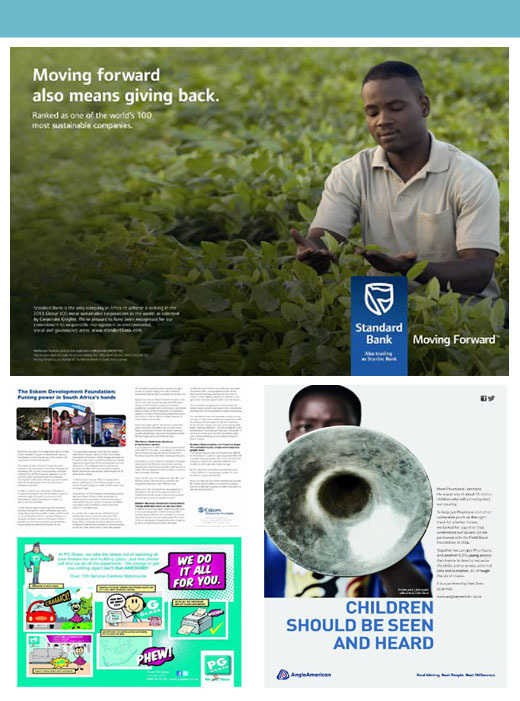 ADVERTORIAL: Industrial development Corporation (IDC) – Corporate Social Investment: Partnership is Key.